1ltr Lock & Lock rectangular food container. Clear plastic design. Lid is fastened to base via four clips, one to each side of the lid. 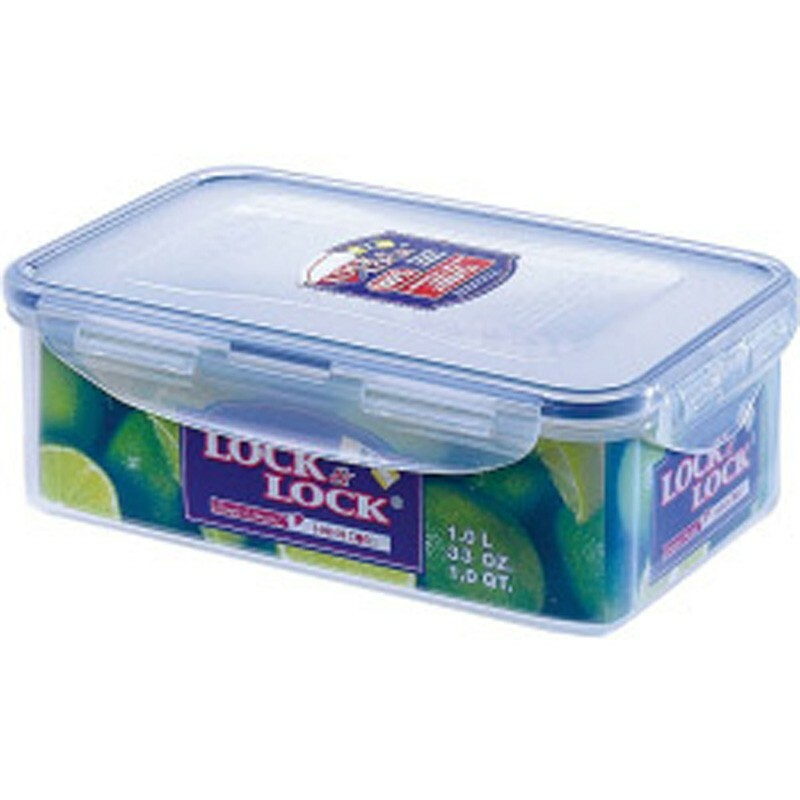 Lock & Lock are the originators of the 100% air and liquid-tight food storage container concept, with the distinctive snap-down locking hinges and silicone seal. The four-hinged lids have each been tested to open and close more than 3 million times, to guarantee reliability and the hollow silicone seal in the rim of the lid has superior compression and restoration properties to ensure an airtight seal. Ideal for all food storage needs. 207 x 134 x 70mm in size. Food stays fresher for longer than normal. Stackable design creates up to 40% more usable space in fridges, freezers and cupboards. Safe for use in freezer, microwave and dishwasher (top rack). Full range of plastic food containers available from stock.